Kaspar is a Guardian – pat of an elite peacekeeping force that protects the city and maintains the peace. The guardians are humane and do not fight to kill, using blasters to knock their enemies unconscious and locking them up. There is a bloodthirsty, viscous band of rebels who want to destroy the peace and take over the city. At his graduation ceremony where he became an official Guardian. An attack is launched by the rebels and he meets a beautiful one – Rhea. As Kaspar examines the attacks he begins to see a pattern forming and thinks he can predict attacks. He digs deeper into the city’s history, helped by Sam – a cute librarian at the Guardian headquarters. As he finds out information, he begins to question what he’s been told his whole life. Rhea comes to him in dreams and he meets her again, learning more truths about his world. Then the unthinkable happens and his world is shaken to its core…………..
A really enjoyable story, this book has a tight plot, plenty of action, and likeable characters. You can feel Kaspar’s emotions – pride, grief, puzzlement, horror, and then understanding. It was interesting to find out why the rebels preferred suicide over capture and a little scary to see how the truth can be remade. I was sad about Rhea but think Kaspar made the right choice. There’s a really good lesson here to not just blindly accept what you’ve been told but to question things. I’m really looking forward to the next in the trilogy. There is an issue with fish and fish cookery – you have to buy local. Fish species vary widely across the world and although recipes for one species can be applied to a similar local species, it’s a whole lot better to buy a locally published book. For example, a fish cookery book from overseas isn’t likely to have the interesting selection of recipes for paua (abalone) that you’ll find here in “Go Fish”. 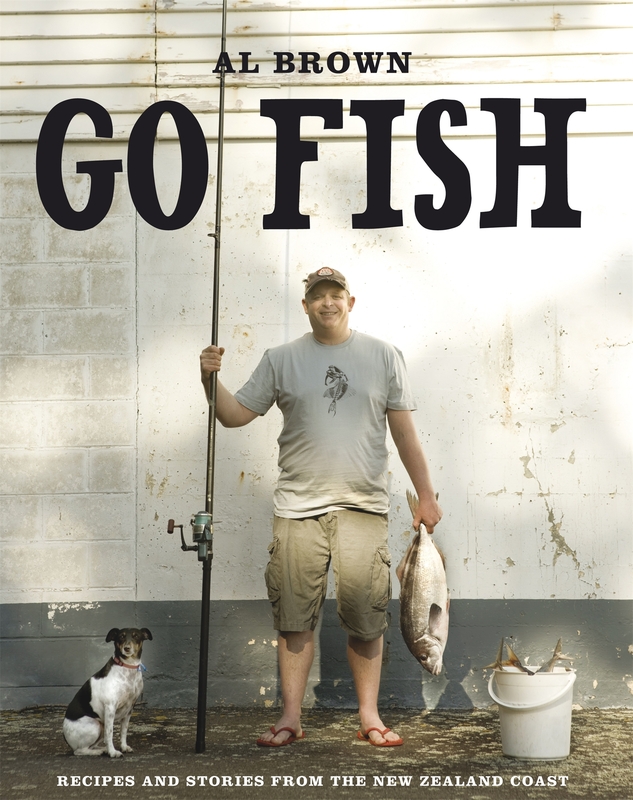 I didn’t come across “Go Fish” when it came out in hardback, so I was pleased to see this paperback edition. My only New Zealand fish book used to be a slim volume from the 1970’s and I have to say that this is a huge leap forward, even for someone who isn’t “big on fish” like me. There was a lot to like about “Go Fish”. There is an excellent selection of recipes, organised roughly by biological phylum – first crustaceans, then molluscs, the majority for “fin fish”, followed by a collection of handy go-to recipes for sauces, batters and the like. The recipes are presented in the style I recognise from “Fresh” with the ingredients listed in groups at the top, but they’re not as “cheffy” and there’s plenty that only have a handful of ingredients. All the usual suspects are here… fish pie, fishcakes, fish chowder, fish and chips. There are clear instructions with step-by-step photographs for all those mysterious skills needed to deal with seafood. There are Al Brown’s fish tales. And the whole is lavishly illustrated. Which brings me to those little niggling criticisms. A picture of the recipe is an aid to the cook, whereas an arty picture of a piece of random fishing equipment isn’t nearly as useful, and doesn’t tell me what those paua fritters should look like. The index isn’t as helpful as it might be – try looking up “chowder” or “fish cakes” and you won’t find them, at least not under those names. That said, the paperback is well bound and it does sit surprising flat on the kitchen bench. Overall, this may well be the definitive book on New Zealand fish cookery and it’s certainly an excellent reference for anyone with the urge to go and cook fish. Not a finny business at all. This wasn’t an easy read, and it isn’t going to be an easy review. The idea that one person could somehow control the mood of the world is an unsettling, and dare I say, a depressing one. The idea is that certain extremely rare individuals unconsciously project what the writer terms “t-waves” – creating a contagious despair across the human population. Oh, and interacting with the physical world in odd ways, doing peculiar things to wooden panelling. Which brings our hero into the tale, a botanic chemist from New Zealand named Foster Castle, who is called in to investigate a piece of oddly degraded wood that was formerly part of the wall of a mental hospital in Boston. He digs into the database and finds a similar specimen in Rio… and so it begins. All this set in a 2025 where things are (predictably) falling apart around the edges. So, it’s proper science fiction that takes a serious view of the future, something we don’t see nearly enough of these days. 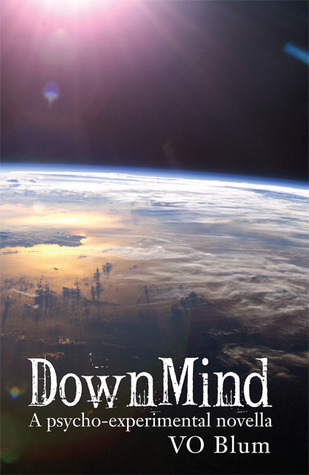 I found Blum’s vision of a decaying future entirely credible, although the concept of the DownMind was a bit too unbelievable for me (and a bit too New Ageist, especially when the personnel of a Coromandel retreat get involved). His attention to detail is excellent, and he has certainly done an impressive amount of research. I suspect that his forays into religion and politics are likely to be unwelcome in certain dinner party conversations, and if you’re easily offended by such things this is not the book for you. 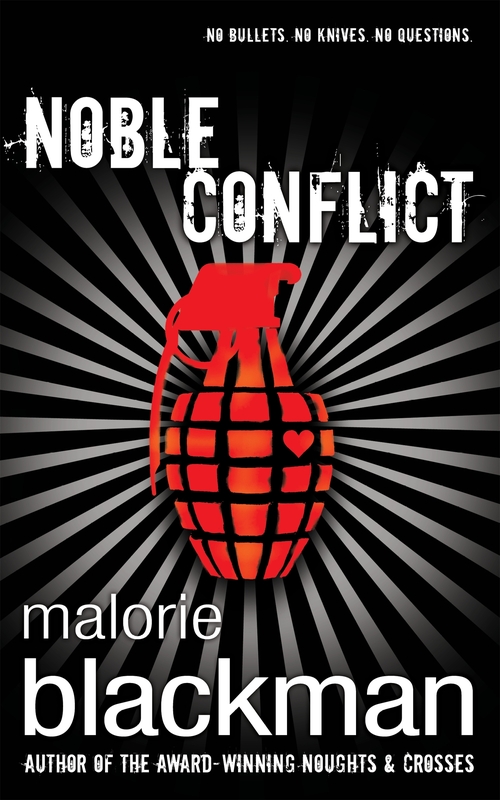 That said, he gave me an idea or two to think over… and that’s what this novella is really about. Read it for the ideas, some of them will blow your mind! I was taken back to childhood in this novel – though not my childhood, except… It did remind me just a bit of Madeleine L’Engle’s classic science fantasy “A Wrinkle in Time”, which was one of my favourite books as a child, and I suppose that the comparison is inescapable. 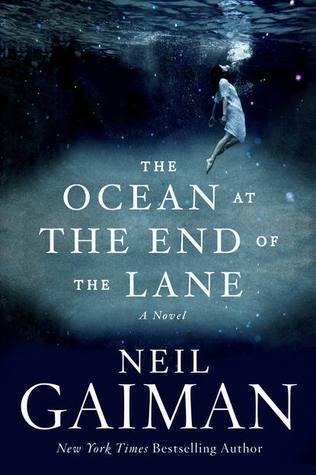 Both novels have child protagonists, both feature trios of strange ancient women, and both involve travelling to strange places – though Gaiman’s novel takes us even further than L’Engel’s, to realms outside of space and time. And I don’t doubt that this novel will also take its place among the classics of fantasy literature. It’s quite beautiful, a book which can be read upon many levels like the very best of poetry. There are oceanic depths here, and I’m not just talking about the pond that is an ocean that goes deeper than imagination. That said, I’m not sure whether it’s a book for adults about childhood, or a book for children about adulthood, and I’m not sure that that really matters (except possibly to booksellers and librarians). It is told from the point of view of an adult remembering events from his childhood, and I hope that doesn’t put the teachers of literature off using this novel in their classes, because I can see how much many young people would gain from reading and studying it. Expect there to be awards. I’m not going to go any further into what the novel is about; this is a book that needs to be experienced, and I suggest you go now, and find a copy so you CAN experience it. Do not wait for the movie… (There is one planned). 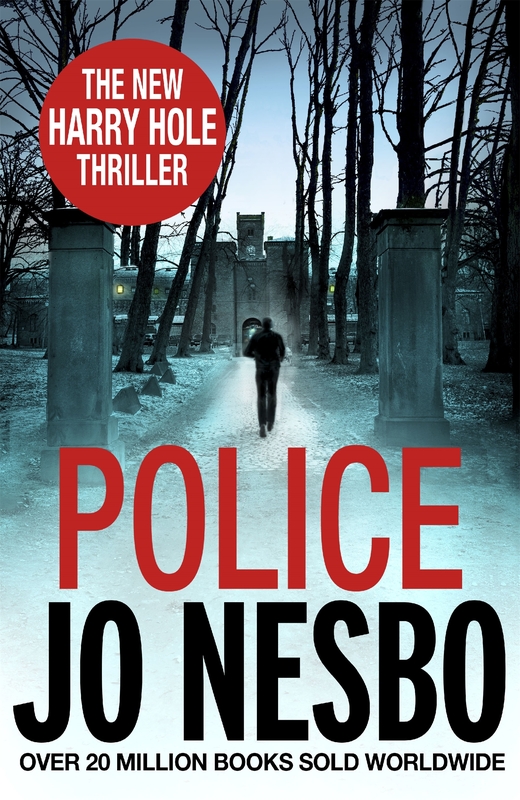 Police is Jo Nesbo’s eighth Harry Hole novel, but retained a fresh feel to it throughout. The story unfolds across several seasons, from the beginning of autumn, in deepest winter to the height of summer. The killings, like the investigation, happen in a methodical planned manner with little in the way of evidence for the investigators to work on. Nesbo waits quite late in the story to bring Harry Hole to the centre of the story, staying with his former colleagues as they investigate this series of murders styled on relatively recent cold case killings. Harry doesn’t want to be involved: he is happy being a police instructor and knows, as a recovering alcoholic, that murder investigation is another of his addictions and will sabotage his relationship with Rakel. But after one murder that is too personal for Harry to ignore he succumbs to temptation and joins the task force. Nesbo an excellent writer of murder-thrillers with misdirection a plenty; a string of potential perpetrators; and subplots and spare villains for later. As an added bonus dialogue and characterisation were not found wanting either, with even the lesser characters being a lot more than two-dimensional drawings. Praise should also go to Nesbo’s translator, Don Bartlett, who has rendered this novel into English from Nesbo’s Norwegian the same year it was published in Norway. Covering New Zealand’s birds, trees, sport, places, and stars, this is a book of small snapshots of kiwi life. It shows the adventurous things we do in our leisure time; explains why certain dates are important to us; shows off the talented artists we have; and shares our favourite foods. Some stereotypes are assumed – I’ve never jumped off a bridge with rubber bands tied to my ankles or been in a jet boat driven at high speeds at a canyon wall (yet) – but we all know someone who has and fits the stereotype. 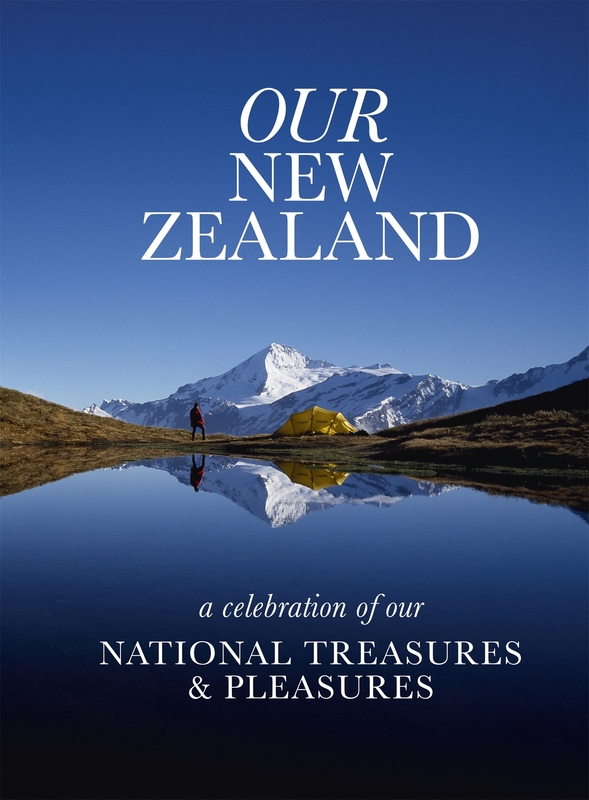 This book is a beautiful celebration of New Zealand though, and shows the typical kiwi life. Beautifully illustrated with glossy, full colour photos from a number of the country’s best photographers, these stunning shots showcase the best of New Zealand and remind us how why we live here. This is the ideal way to showcase our home for friends and family overseas, so buy it and make them envious of you for living where you do! Warning: this book wiil make expats homesick. 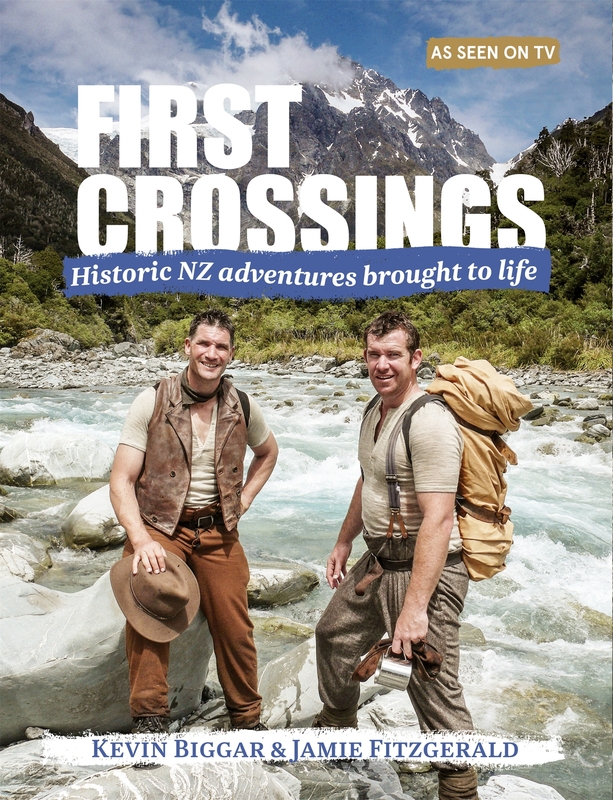 This book is based on the tv show First Crossings, which follows Kevin and Jamie as the re-create pioneering adventures from around New Zealand. They use the same tools and eat the same foods as the original explorers, using their methods of exploration, such as using a handful of mountain grasses tied together with a shoelace as an anchor when abseiling down a cliff face. This is the original way to abseil too, which basically involved a rope tied under your arms and letting yourself down the rope hand by hand. I was never really gripped by the tv show, which featured a couple of guy who were nuts for not using modern equipment, but the book’s words paint a more detailed picture of what each adventure is like and the experiences they go through. I didn’t quite realise they actually did only wear authentic clothes, use authentic tools, or eat only food the early explorers did. I still think they’re nuts but awe-inspiring. The early settlers were a tough breed, to do what they did with the resources they had. The colour photos accompanying each story show what each journey is like and are breathtaking, highlighting the beauty of New Zealand. Tribute is paid to the cameraman, Murray Milne, who completes each journey backward and looking through the camera viewfinder.